Create a welcoming space your guests will love with these beautiful decor ideas. From gorgeous table runners and place mats to thoughtful place cards, we can help you set a memorable Thanksgiving table with style . 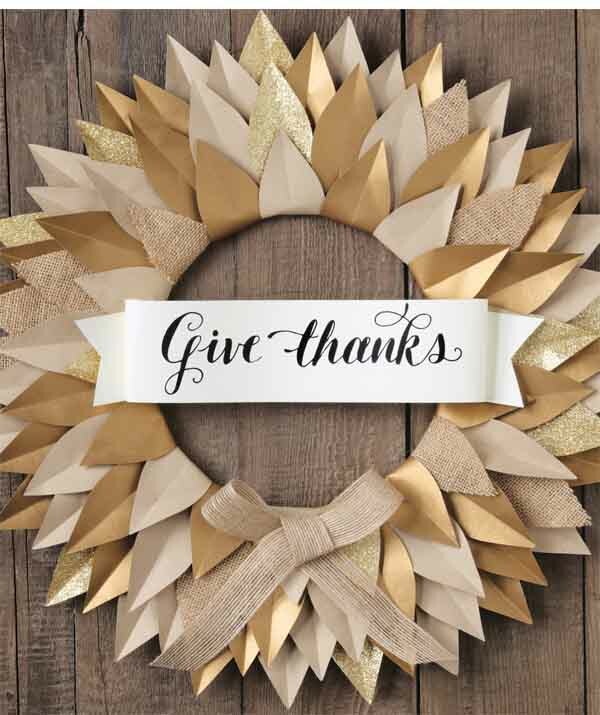 Set the tone for your grateful gathering with this beautiful We Are Thankful Table Runner. An artful addition to any festive setting, this screen printed design features animals, objects, and silhouettes hidden in the branches of an intricately illustrated tree . The simple and bright fabric will easily compliment your favorite fall decorations. But, it’s not only beautiful, it’s also machine washable- making this table cloth perfect for quick post-meal cleanup. Now that the weather is cooling off, warm your home with a cozy dinner party! With fresh table decor and contemporary cocktails, these party ideas just might make fall your favorite season to entertain! Set the table with this fun place setting idea. Just cut our Chalkboard Wrapping Paper into rectangular place mats or use as a table runner for a unique way to personalize your space. Write your guests’ names above their plates or let your guests doodle their own setting design. Simply arrange colorful chalk in a darling mason jar for a playful pre-dinner activity. Here’s a cute and easy way to remind you and yours of the “reason for the season” this Thanksgiving! It looks great on it’s own, or across individual dinner plates or displayed across one of our burlap wreaths. Add a little something special to your front door with a festive fall wreath! 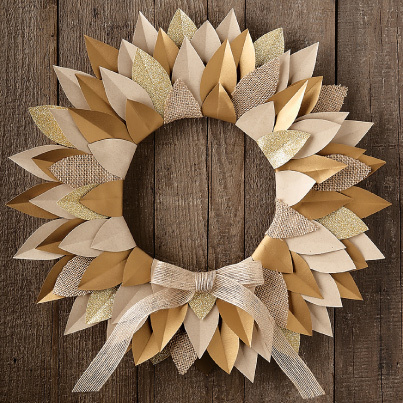 We love our new Burlap Wreath Kit for a touch of rustic chic. The crisp, geometric leaf shape in a combination of burlap, glitter paper and metallic paper creates amazing volume and texture — perfect for your front door or favorite accent wall. If you picked up our catalog, you probably noticed that we’re kind of crazy about kits. 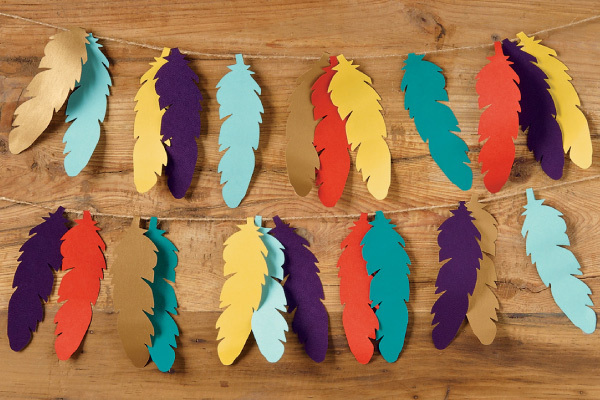 These expertly coordinated paper projects are great because they are a fun DIY project for any skill level and can be styled to suite many tastes. Whether you’re looking for color, class, or crafting fun, these autumn kits are pretty amazing.